Spain's Costa del Sol is one of Europe's premier holiday destinations. One of the best ways to enjoy the region is with a stay at Club La Costa at Las Farolas. This ideally situated resort is loaded with luxurious and practical amenities that make every stay a delight. 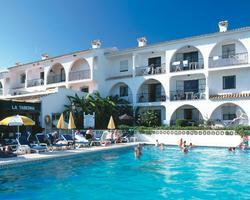 When you buy a Costa del Sol timeshare, you'll have a convenient and affordable place to vacation every year. When it comes to location, this property can't be beat. Club La Costa at Las Farolas is found halfway between the quaint village known as La Cala and the larger, more active city called Fuengirola. Between these two fascinating spots lies some of the most beautiful beach found anywhere in the world. Visitors are able to sample the delights at tapas bars, dance the night away at colorful discos and enjoy the ultimate in relaxation along the shore. 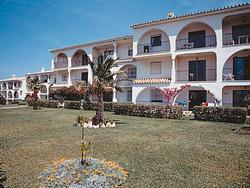 Visitors who buy a Costa del Sol timeshare at Las Farolas are looking for peace and relaxation. The property has two beautiful pools and a wealth of lounge chairs where guests can spend the lazy, sunny days. Anyone looking for more active pastimes may take a shuttle to the nearby San Diego Suites where they have privileges at the state-of-the-art Fitness Centre. The facilities there include exercise equipment, tennis courts and more. The Las Farolas property features live entertainment, a restaurant and convenient shop. Guests enjoy plenty of amenities in the well-appointed suites. Most have at least kitchenettes to make it possible to prepare meals and snacks. The décor is bright and Mediterranean, an excellent fit for the general atmosphere. Plush beds, private balconies and all of the comforts of a true vacation home make Club La Costa at Las Farolas an excellent choice for even the most discriminating of travelers. Contact Club La Costa at Las Farolas Specialist Today!